Episode 3-9: Strong Marriage. Strong Business. Hey, what’s going on guys? Alex here. I just got back from a four day marriage retreat. I want to talk to you about how the marriage relationship affects business. Can we talk about this? Can we talk about how our spouse affects our business success?. When it comes to my day-to-day effort, my productivity levels, my energy, my motivation, I realize that the way that I walk into work that day affects how everything else goes. In other words, if I walk in grumpy, because my day started off with the fight with my wife, it’s going to affect pretty much everything else throughout that day until I’m able to get that out of my head and off my chest. The same way, on a larger scale, there are things that your spouse is doing that is either pushing you to do better or holding you down. 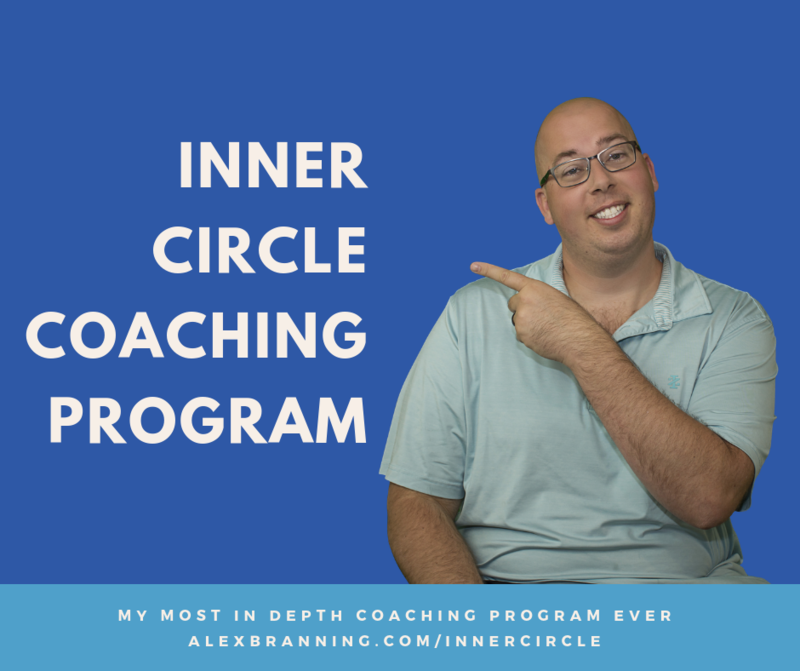 I had a really good conversation with one of my coaching clients, and there was an event that she was able to go to if she hit a certain number. So she was able to attend this leadership convention, out of the state, if she was able to meet a certain number. And when we first talked about this in one of our earlier coaching calls, she was stoked. She had so much motivation to hit the number. I was excited for her. She was excited. We were coming up with plans so that she could meet her goal. And we were just on fire. Right? Well, something happened. She talked to her husband, and her husband was like, “Hey, I really want you to get that number, but I don’t want you to go to the event.” I get it. He doesn’t want her to go out-of-state for a couple of days to attend this event. I understand. She was deflated. And that was the one thing. I mean, yes she did want to hit the leadership goal, but really she wanted to hit the leadership goal by this specific date so that she could attend this event, and walk up on the stage and receive her reward. That was her motivation. When the event was gone, when it was no longer an option, her motivation disappeared. She was no longer interested. Her motivation was gone. Her energy wasn’t there. Even though we still walked through the motions, I could just tell her passion was gone. Wow. That is huge. I wonder what things your spouse is telling you that’s either motivating you to be the best that you could be, or keeping you in a box because of some of the expectations or statements they’ve made that make you feel like you cannot progress any more than you already are. 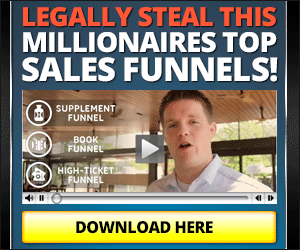 There’s another couple that I’m good friends with and they’re entrepreneurs. They’re both just working really, really hard at meeting their goals. One of the things that they do, and I just love this, one of the things they do is they encourage each other throughout the day. They check in with each other about their goals. And they help each other overcome the obstacles that they’re facing. They’re doing really, really, well in business, they’re crushing it. On the other hand, I know another guy, and he is doing really well in his business. He had just gotten started. He was really progressing faster than I thought he would. So he was just crushing it. And in one of the conversations that he had with his wife, she mentioned that she did not want to be one of those families where the wife drove around in a minivan while the husband drove around in a BMW. And this guy was not driving a BMW, by the way, but that was his goal. So, his main goal, his thing that he wanted to accomplish was he wanted to make enough money so that he can buy a BMW and drive around in that. And that was going to be his first milestone to show that this was really working. But her statement where she basically said, “I do not want you to get a BMW while I am still in minivan.” It was a fair statement because she didn’t want to be driving what she would call the dump of the family. She had a nicer car at the time. Her van was nicer than he was driving. But she didn’t want to be stuck with the lesser of the two cars. And that deflated him. He went from just feeling like, “Man, I’m so close. I’m going to get this BMW, this is going to be amazing. We’re going to be able to show people that I’m making it.” By the way, your possessions should not be showcasing your success, but that’s a different podcast. But the way that the spouse popped the balloon on his goal was deflating. And it ended up really affecting him because that thing that he was striving for was no longer an option. So he was kind of lost. I mean, he was still hitting goals, he still needed to make his bills. He was doing that. But he just didn’t have the same motivation. He didn’t have the same oomph that he did when he was going for that BMW. There’s something that happens, there’s something that shifts when the thing that drives you no longer becomes an option. For those two examples where the event, the conference was taken away or the BMW was taken away, that was their main magnet towards their goal. So their actions were being dictated by their goals, which by the way, is totally the way that we operate. We all operate by the size of our goals, and our actions are dictated by the size of our goals. But when our goals are taken away, our actions then decrease as well. And we’re not able to meet the same milestones that we were before. So here’s my tip for you. I got a couple of them from this marriage retreat. Number one, make sure that you guys are on the same page as far as what kind of success you want to see. Then number two, make sure that you guys on the same page with the milestones and the achievements and the awards that you’ll get yourself once you meet those milestones. Look, we are rewards-driven people. That’s just how we’re made. We’re driven by reward and we’re driven by punishment. And in a later podcast episode I’ll talk about accountability and how punishments can keep us from falling back and they can keep us moving forward. But right now, let’s talk about the rewards because we all need rewards. We all have goals that we’re going for. There’s milestones that we want to achieve, but we need to be able to have those in front of us and feel attainable. So here’s my thing for you. I want you to make sure that your spouse, your significant other, is on board with what those milestones are and what those rewards are.Because since my clients, well one of them is a client, one of them is a friend, since they did not check with their spouse before they started getting their hopes up and really gunning for this thing. When it was pulled away from them, after they had started taking action, it was deflating. Now, if the milestone reward markers, if those were not there, if they had talked to their spouse and their spouse said, “You know what, instead of going for a BMW, let’s work together so that you can get me a Suburban and then you can get a BMW.” It would be different. Because now, he knows the goal. And now the BMW, it might be a little bit further off, but he knows the goal. And so, when he hits the Suburban, now he’s got that boost. And he can go on to the next one, which for him would be a BMW. But because it was taken away and he had nothing in front of him, it was deflating. And it was very demotivating, and it took him a while to get back on his feet. So, talk to your spouse about it. And the third point, when there’s conflict. Because here’s the thing, both of these issues could have been resolved with good conflict resolutions. They could have addressed it together, and they both could have gotten back on the horse and driven towards their milestones. But because they didn’t handle the conflict well, they didn’t handle the pushback well, what happened was they got deflated, they stopped taking big actions, and it bled into other areas of their work. But, if they had good conflict resolution skills, I think they would have been able to find a good compromise that would have been able to keep them both moving towards their goal, even though maybe the milestone might have been a little bit different. But it would have been better served. And my third point is really understand conflict resolution. Because conflicts are going to come up between in your marriage because you’re living with each other day in and day out. It’s going to come up with your clients, your team members, your up line, your down line, your boss, your employees, et cetera. If we’re not good at conflict resolution, then we’re being held back just as human beings and that will affect the level of success that we’re able to achieve. One of the biggest things that I learned at the retreat was conflict resolution. It was really, really good. And they gave us these tools for reconciliation. And they were talking about how working together, you can resolve pretty much any conflict by walking through this tool. I want to give it to you as a tip. So I know this isn’t necessarily business related because I learned it at a marriage retreat, but you can apply it in business. You start off by identifying and saying, now by the way, hold up, time out, when you reconcile, you are reconciling a situation where you know there’s tension. And you’re coming into it not with the goal of being right. You’re coming in with the goal of reconciling you together and fixing the relationship. And then she would forgive me assuming it was truthful. Don’t just say I forgive you if it’s not true. Then she would forgive me for the feelings that I caused in her as well. And then I would ask is there anything else that I need to apologize for because I want to make sure that I apologize for everything that I’ve done to you, not only my actions, but also the feelings that I’ve caused. And we would be able to walk through that together. And so, that’s something that you can take home. I encourage you to do that with your spouse, especially if things are not great. It’s something that you can also do with your team. You just reconcile, apologize for the actions and the feelings. Because that lets people know that you hear them, you value them, and you understand that what you did was wrong. It doesn’t matter if they did something too. It doesn’t matter. This is not the conversation for that. If they want to volunteer an apology, great. If they don’t, don’t push it. You’re not going to be doing yourself any favors. So that’s the reconciliation tool, and I thought it was really, really helpful. And I just wanted to share that with you. And again, that’s something we can all use in all of our relationships. I happened to learn it at a marriage retreat. But I will plan on using it with clients and others where there are disagreements, and where I cause hurt feelings. There was so much that I learned on this marriage retreat. I want to encourage you guys, I want to offer up a book as a resource for you. 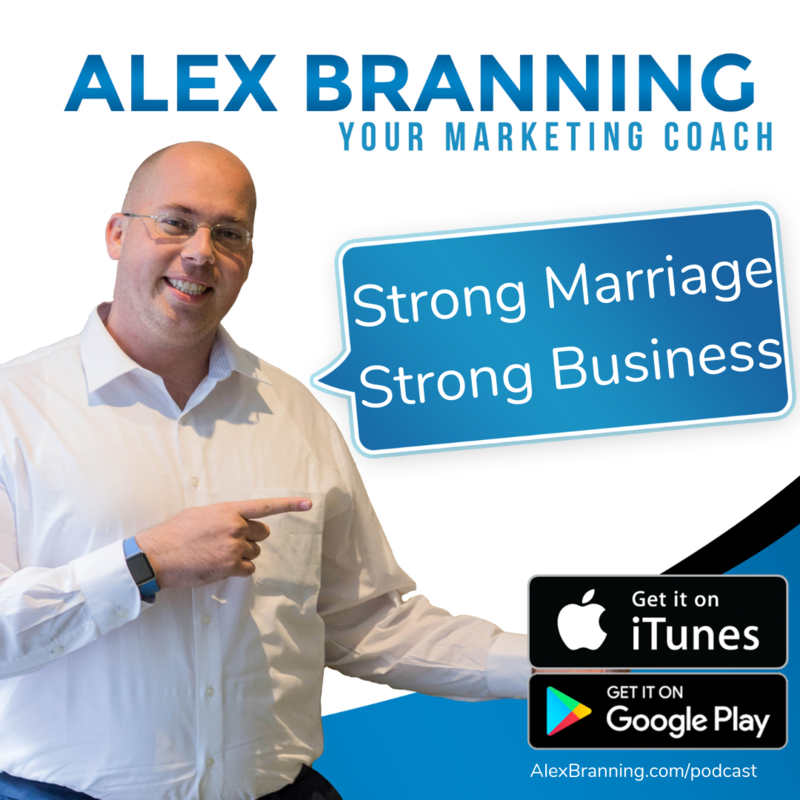 And I know you’re like, “Alex, this is a marketing podcast, dude, why are you talking about marriage?” I really think it’s important that your marriage is strong. So I want to recommend a book, it’s called Love After Marriage. 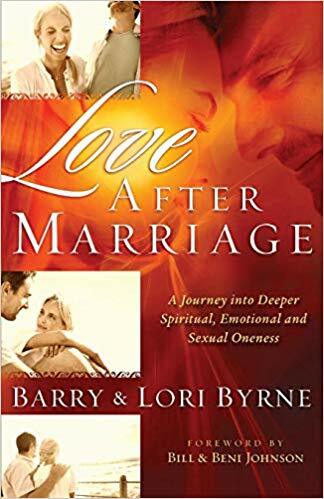 It is highly practical, very valuable, and I encourage you to take a peek at it and go through it with your spouse. Let me know what you think. You guys are amazing. I hope your business goes well, your marriages well. And look forward to the next episode coming out on Monday. I got some great stuff to go over.